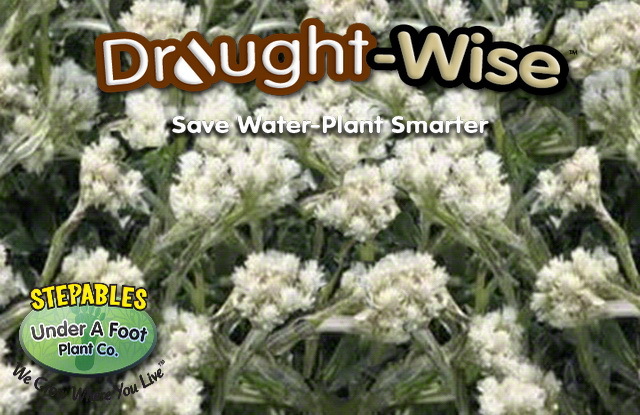 Drought got you down? 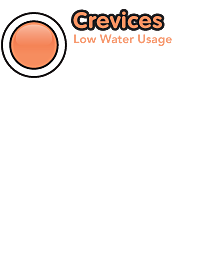 No need to be frustrated! 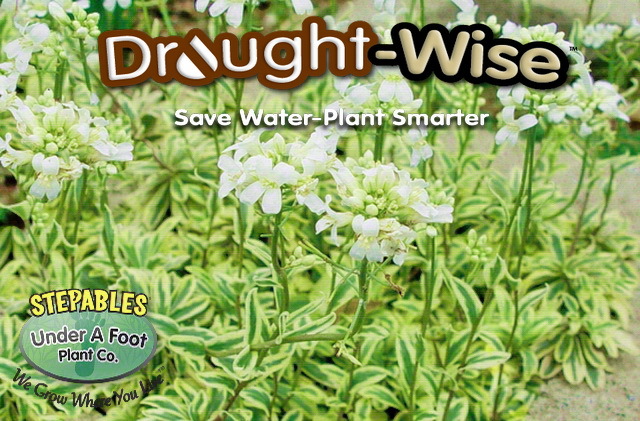 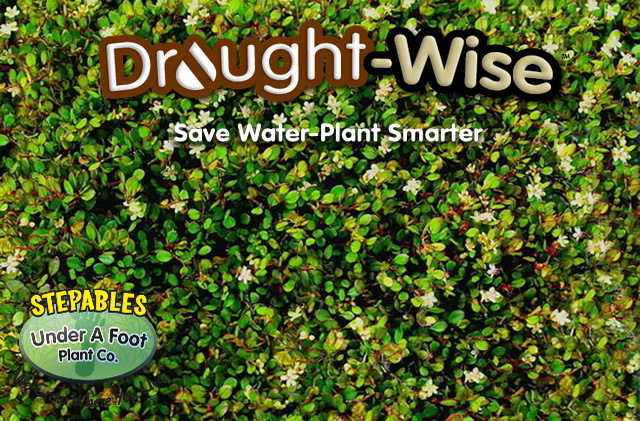 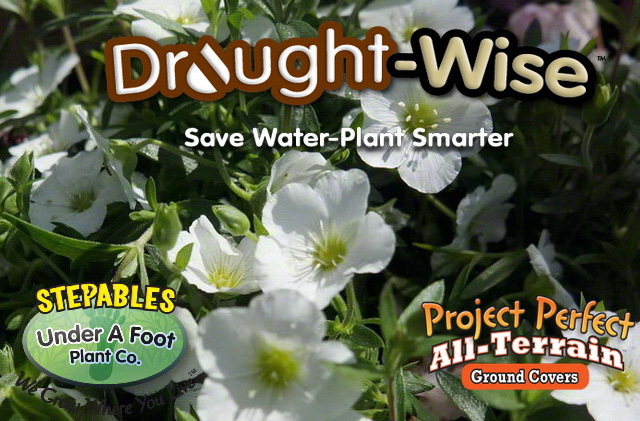 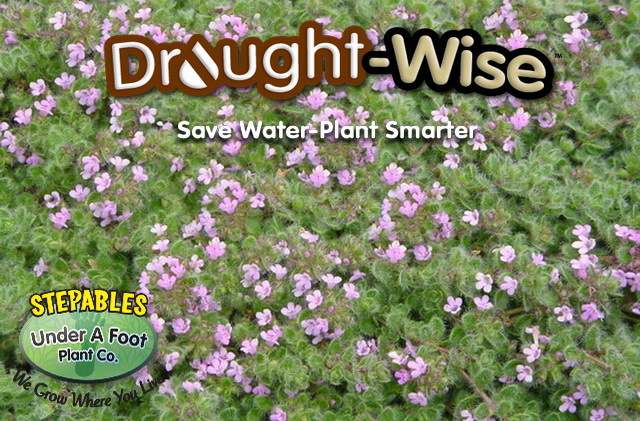 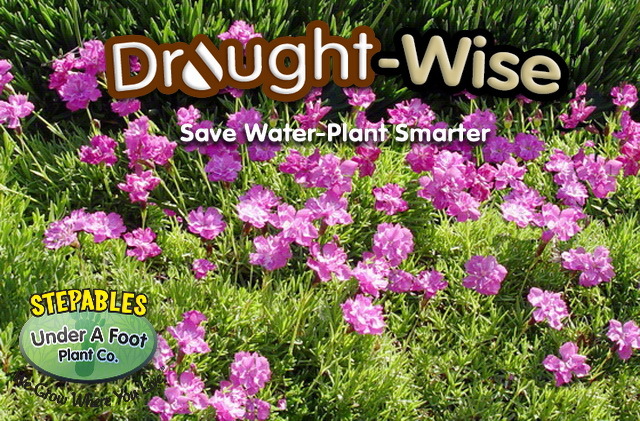 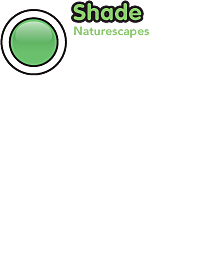 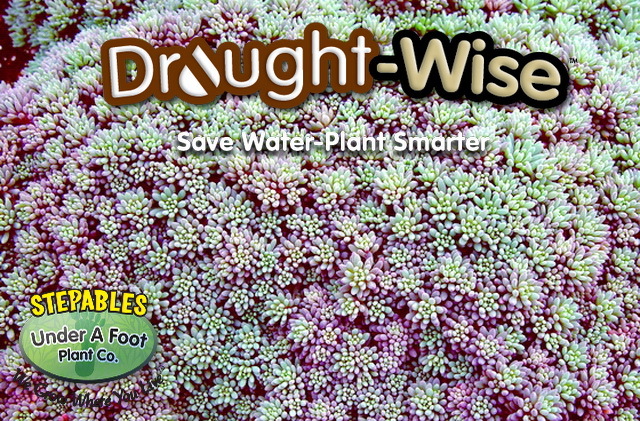 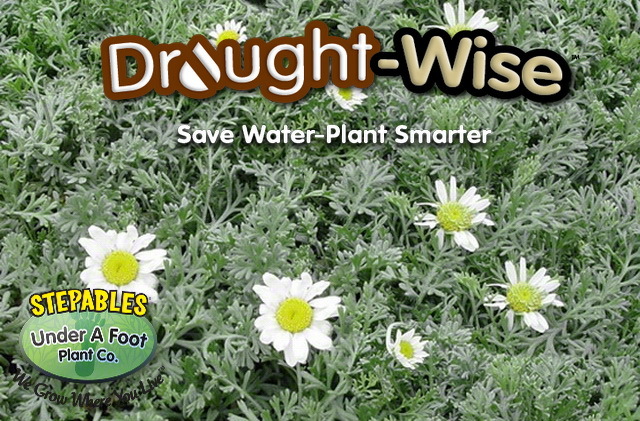 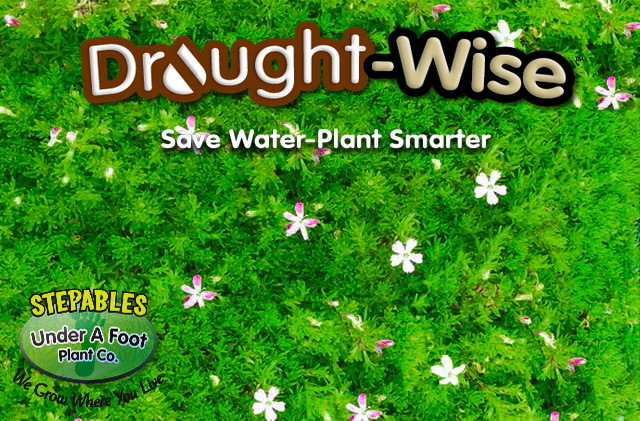 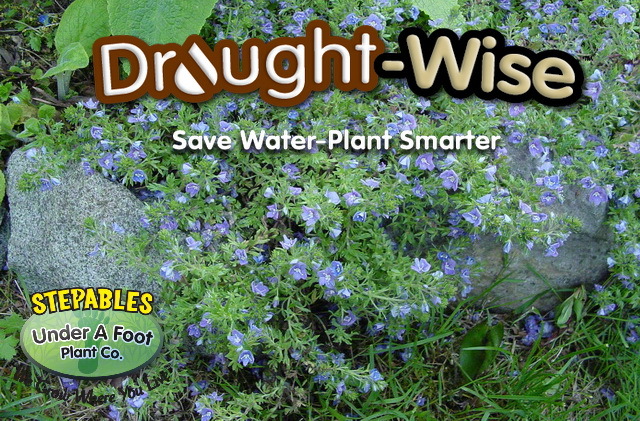 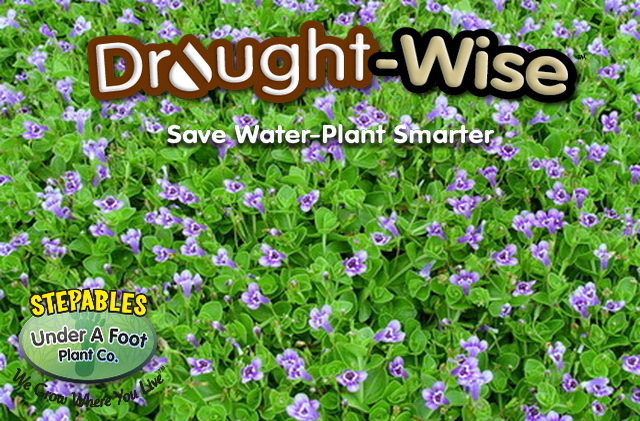 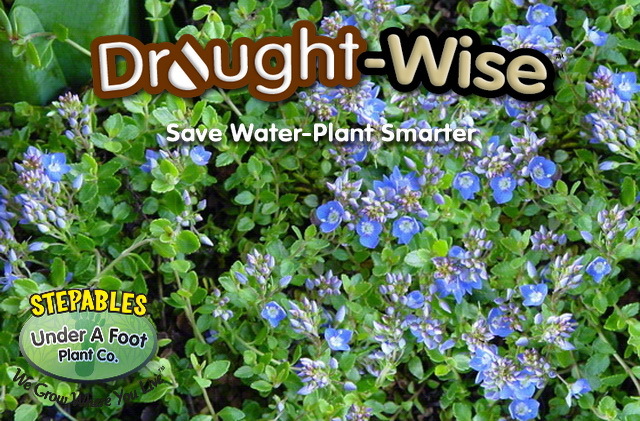 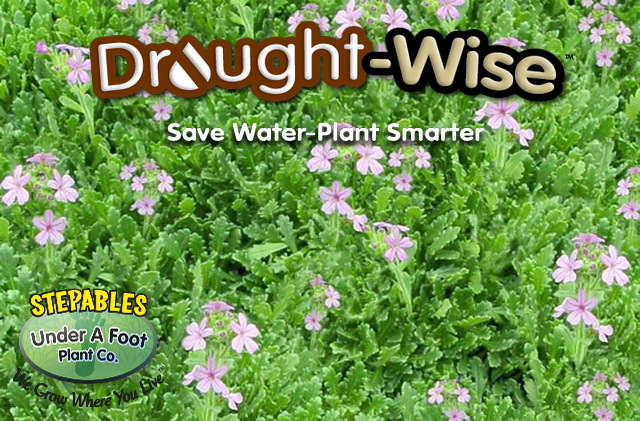 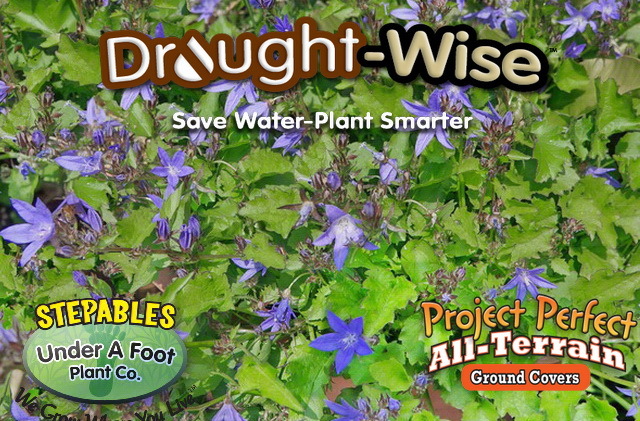 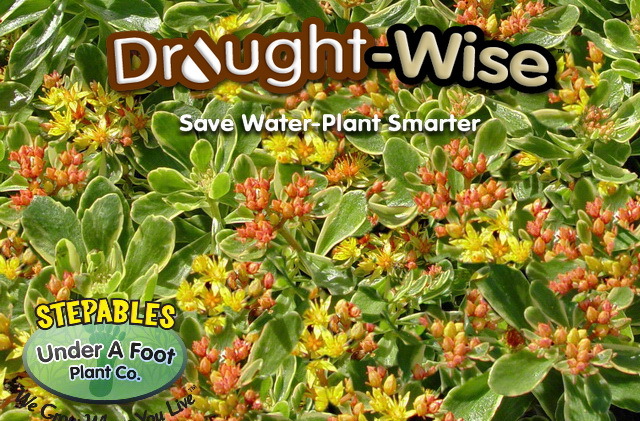 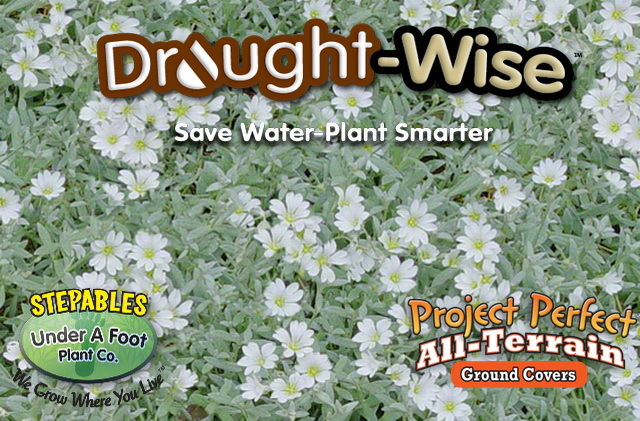 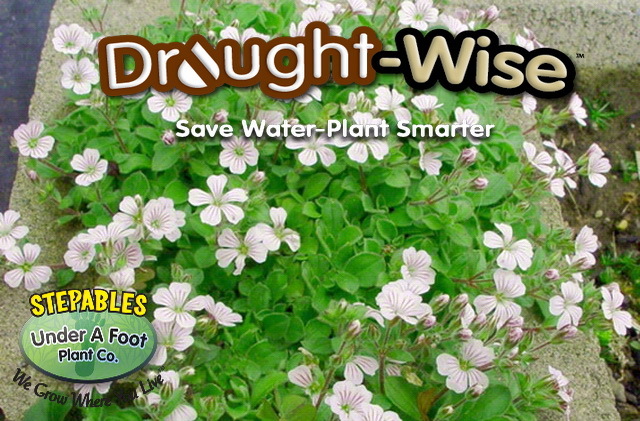 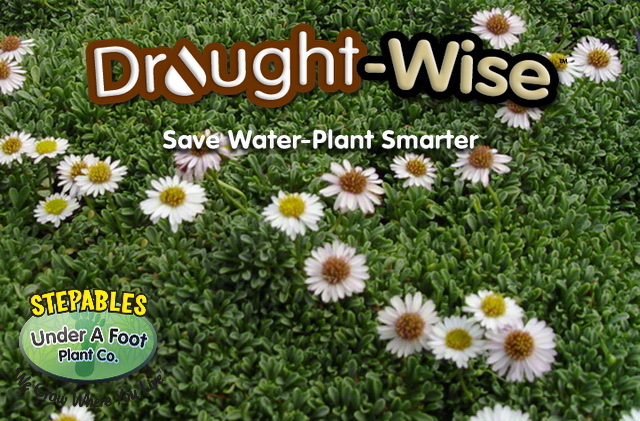 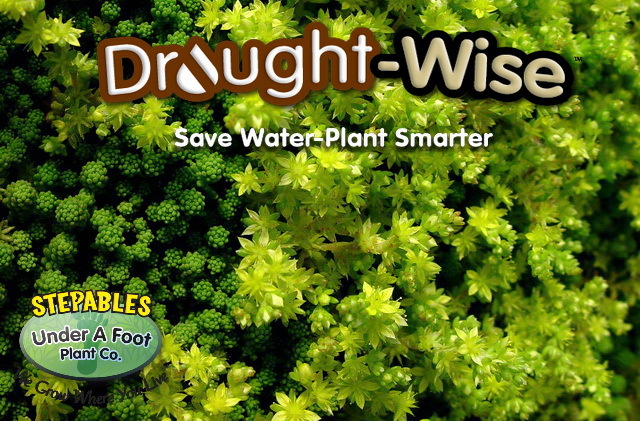 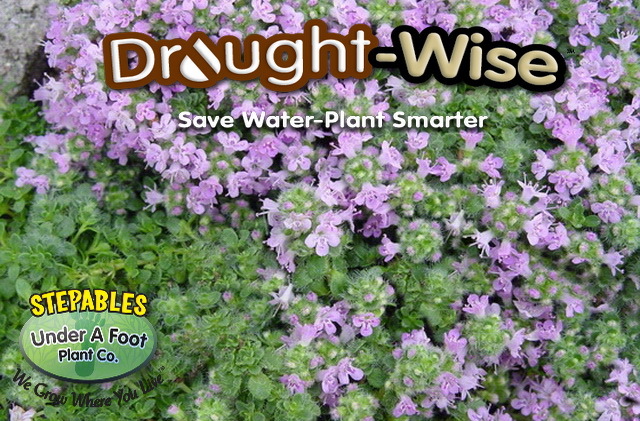 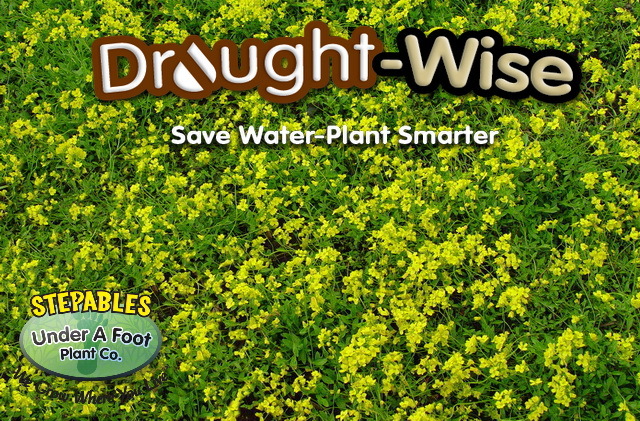 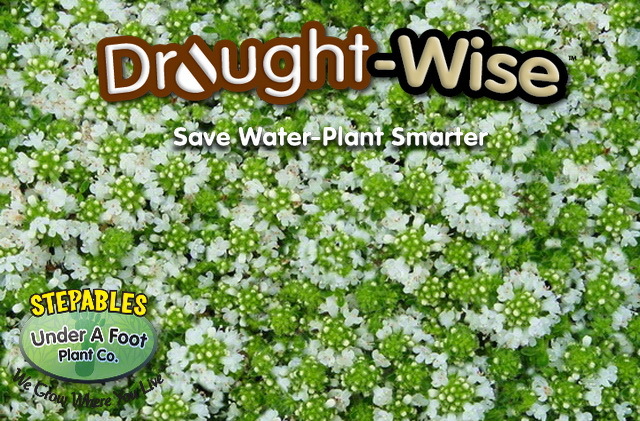 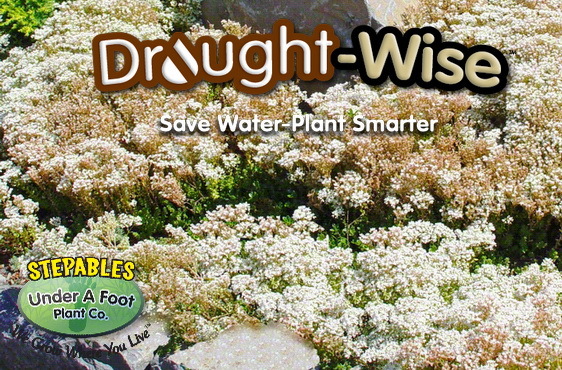 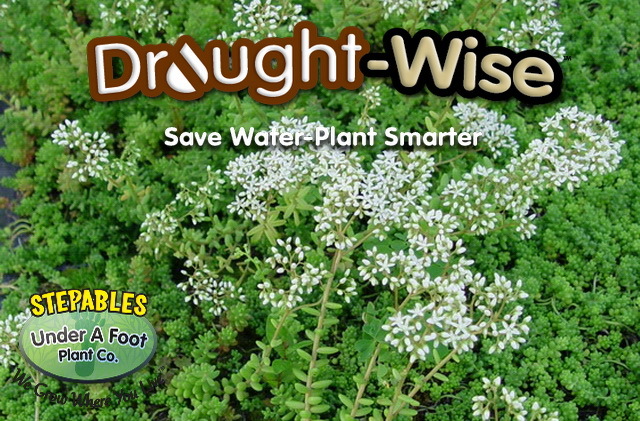 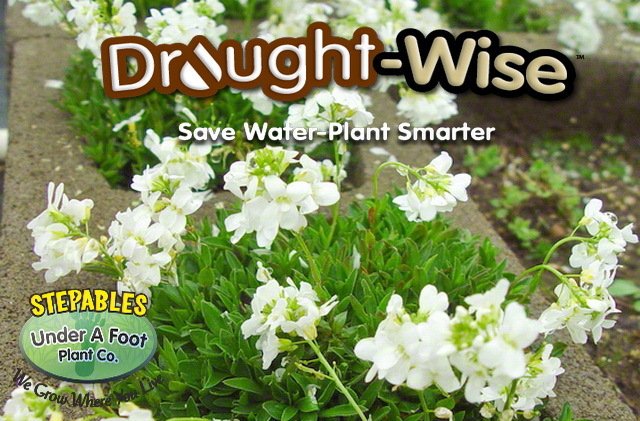 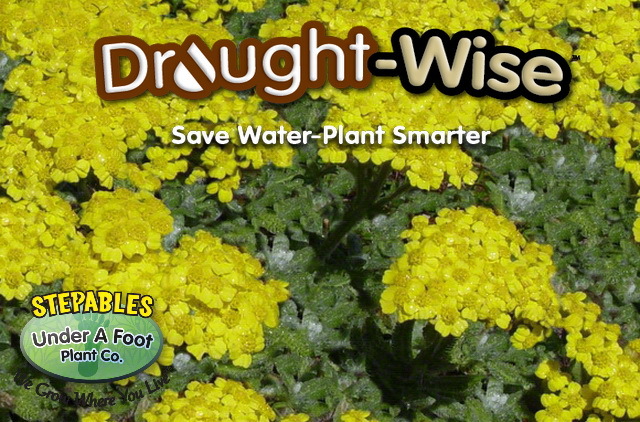 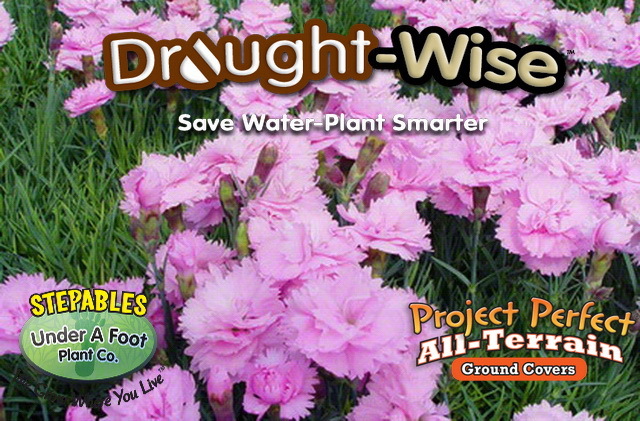 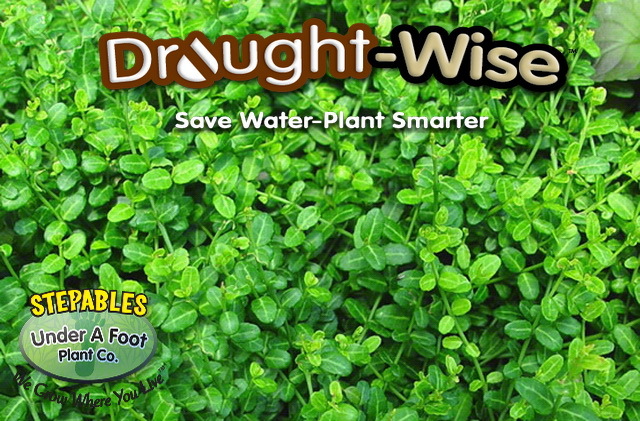 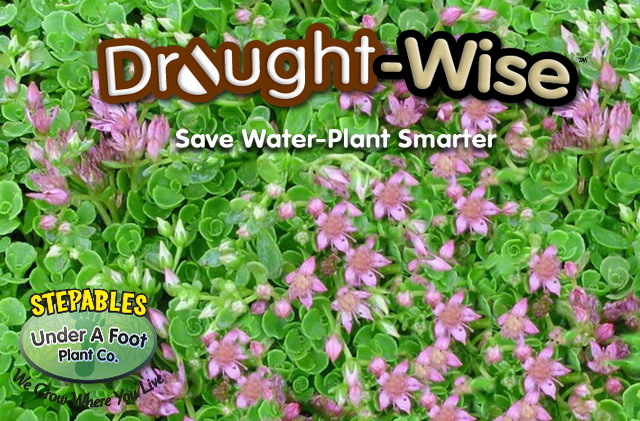 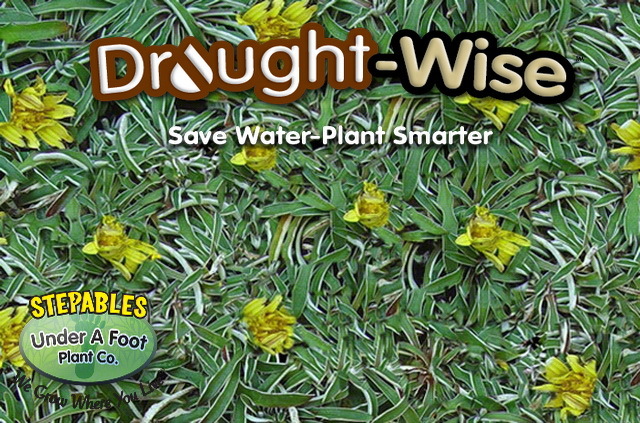 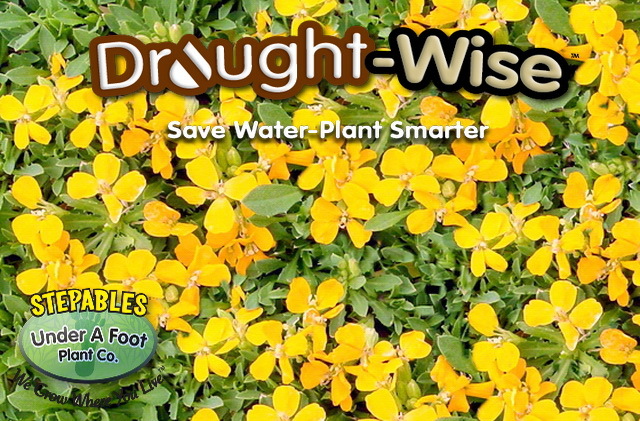 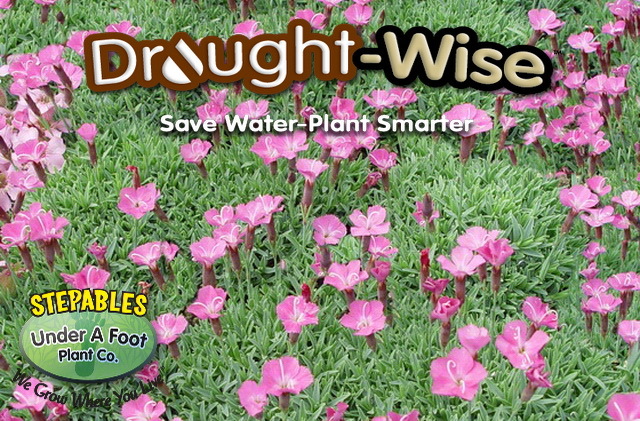 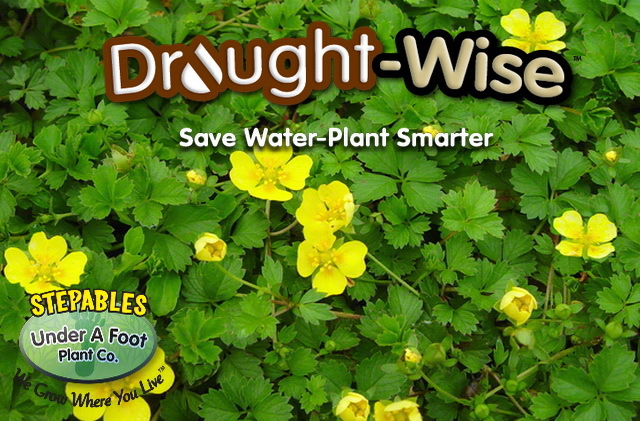 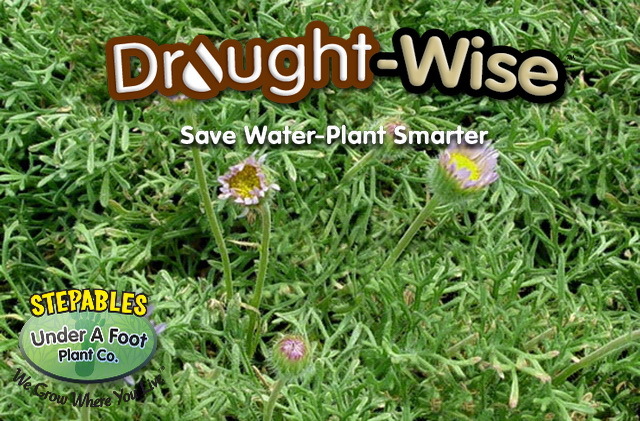 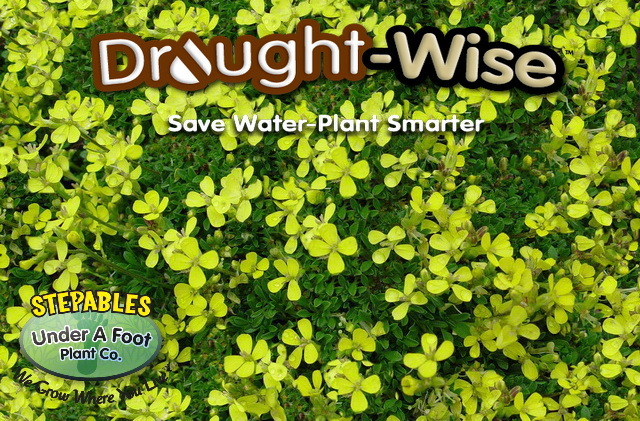 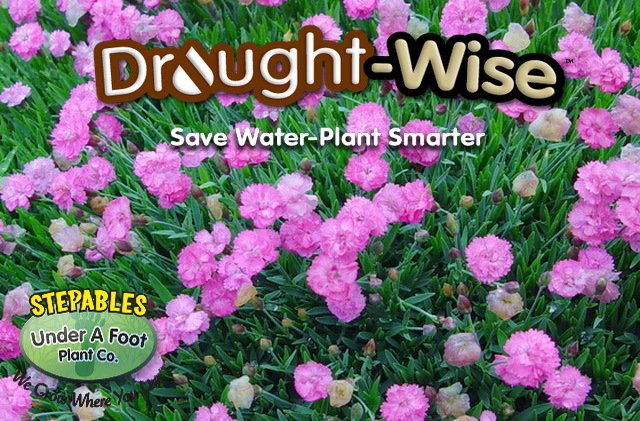 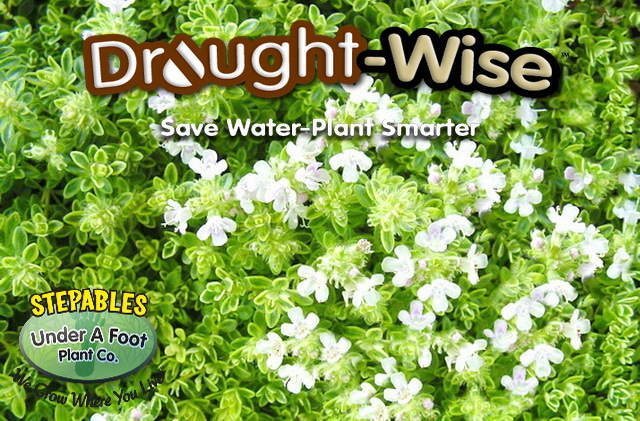 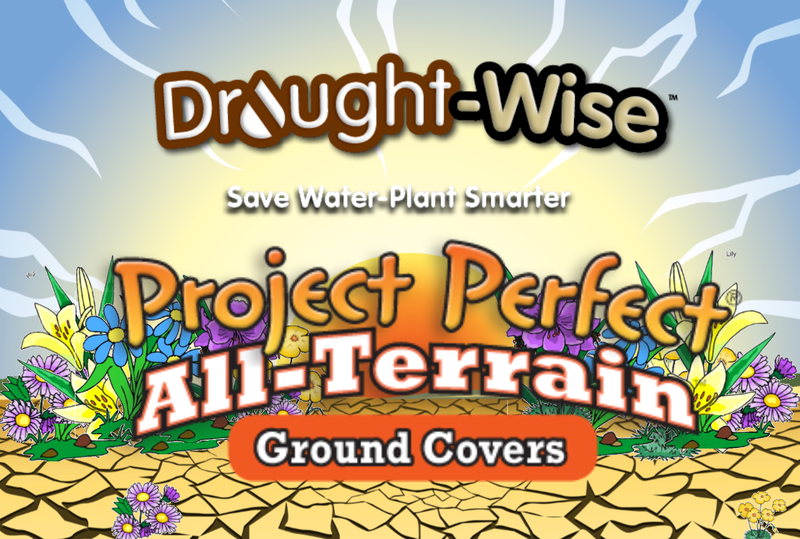 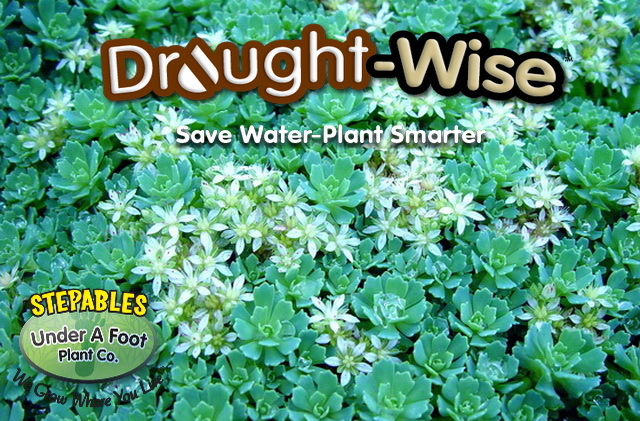 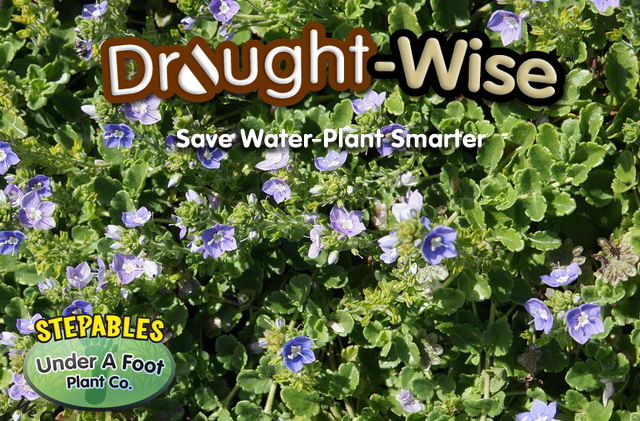 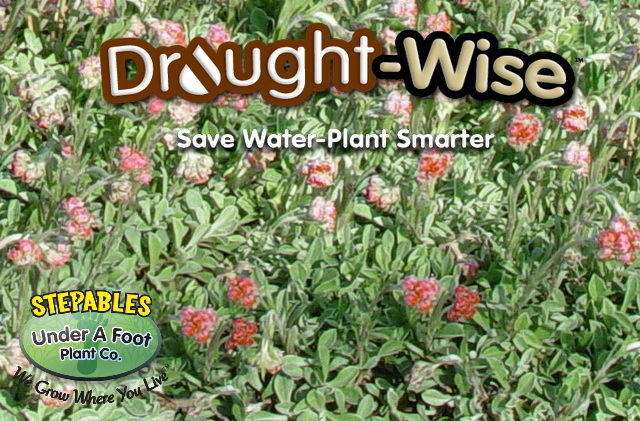 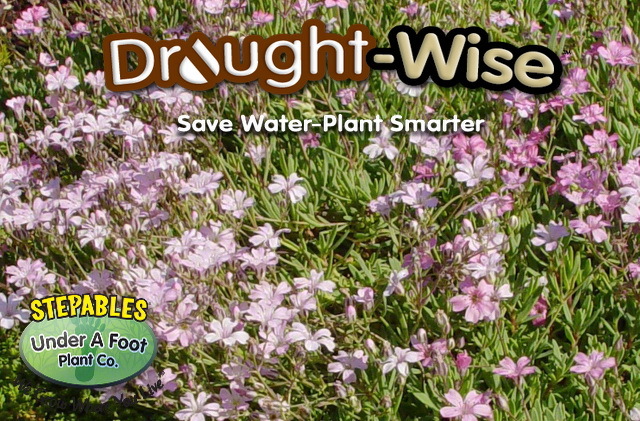 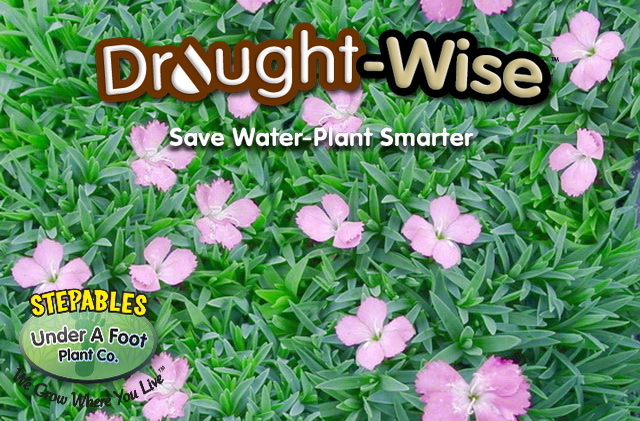 You can save water by simply planting smarter! 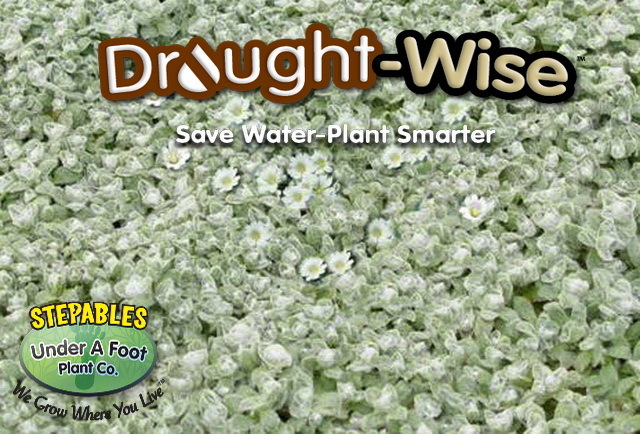 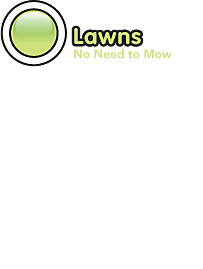 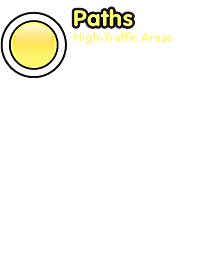 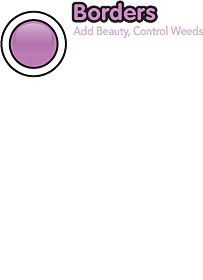 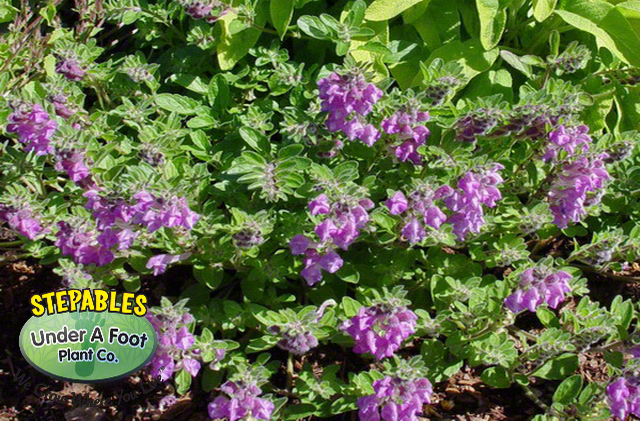 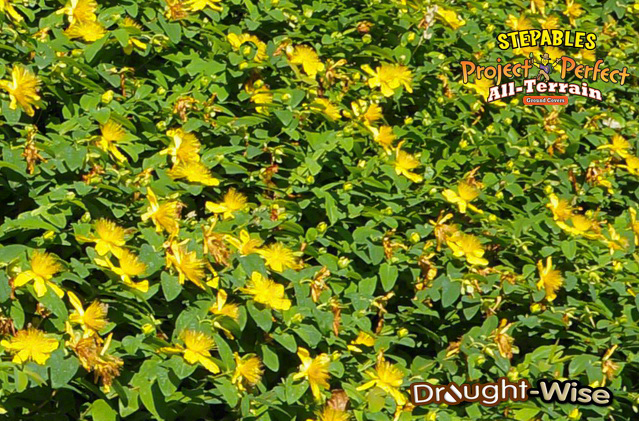 We have tons of great Drought-Wise Drought Tolerant STEPABLE Creeping Perennials and All Terrain Ground Covers for you to choose. 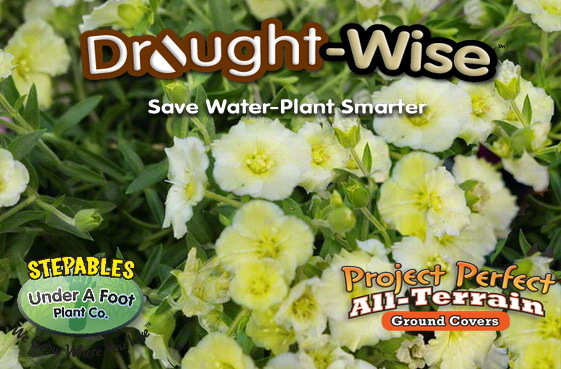 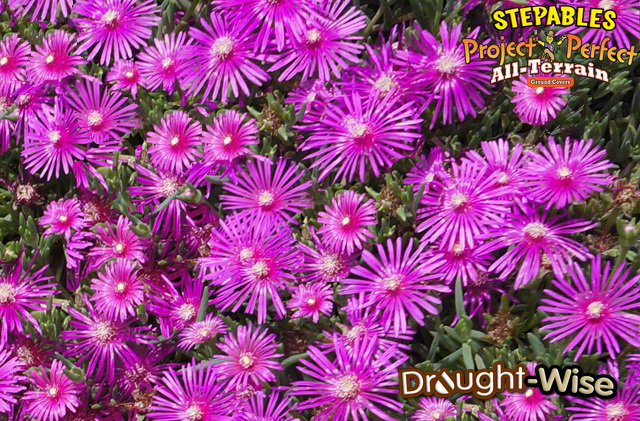 These plants can withstand drought conditions and look good doing it! 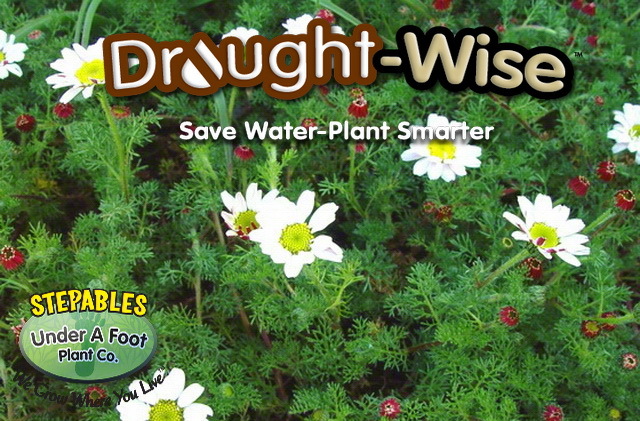 NOTE: Drought-Wise Plants need to be watered until roots are well established, then taper off watering gradually. 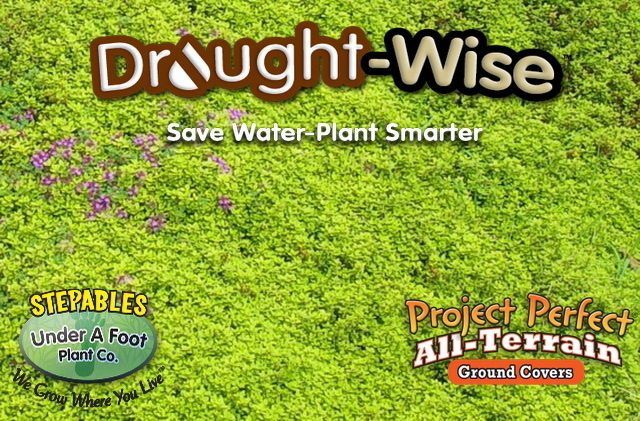 Water deep enough to wet the entire root zone to encourage deep roots. 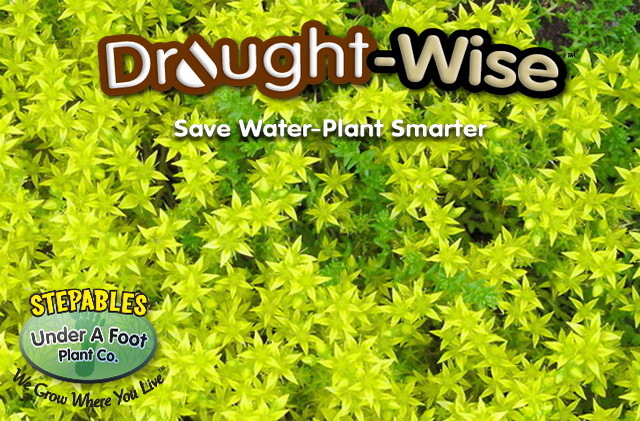 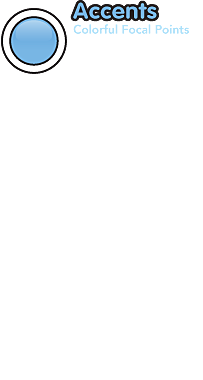 Then as plant matures, less water will be needed.